Home Free O+ Phones & Tablets Tech News Good News: 0+ Great Grad Sale! 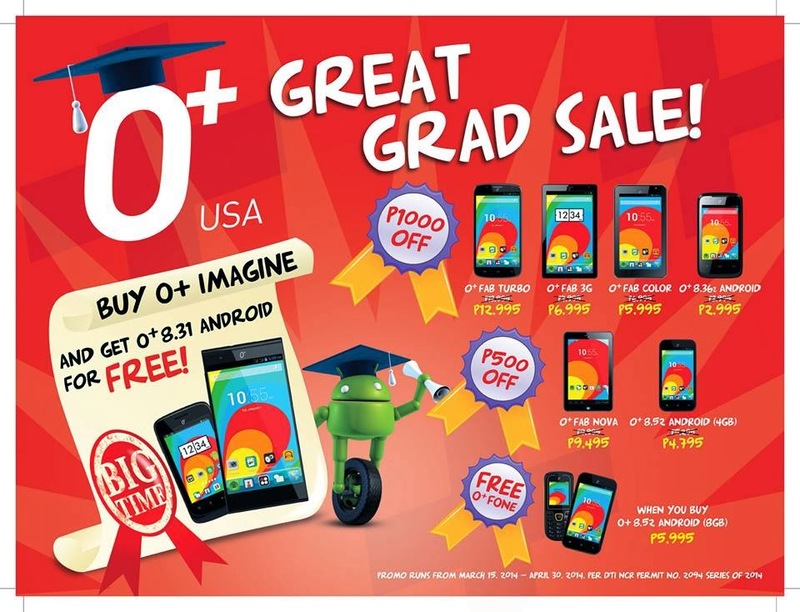 Oplus USA is giving up to Php1000 discounts on their Android smartphones and tablet this coming graduation day. Php1000 OFF on their O+ Fab Turbo, O+ Fab 3G, O+ Fab Color and O+ 8.36z Android. Php500 OFF on their O+ Fab Nova and O+ Android(4GB). FREE O+ 8.31 Android for every purchased of O+ Imagine. The 0+ Great Grad Sale is available in O+ kiosks store and dealers. The promo runs from March 15 until April 30, 2014.